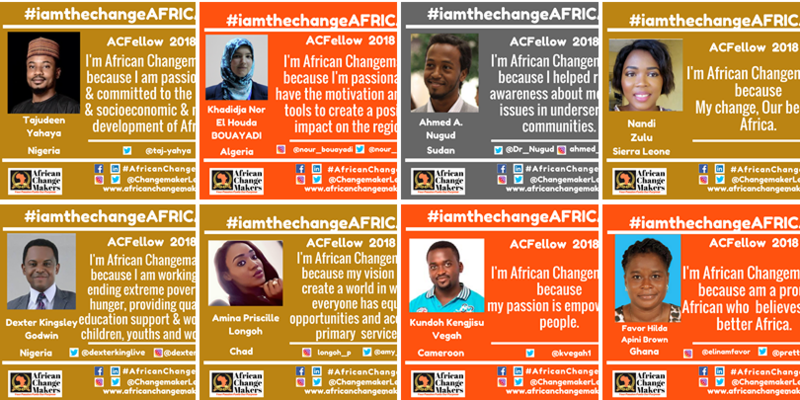 African Changemakers Fellows 2018 (ACFellows, Cohort 1, 2018) telling the world why they are the change for Africa development, the face and hope of Africa and they have what it takes to effect changes in their various communities and countries. How will you not be moved by each person’s statement to support or surprise them with opportunities to make their hopes and aspiration for Africa a reality. We will not change AFRICANS for the world, but we will change the world for AFRICA. AFRICA is rising within as AFRICANS takes the destiny of their continent in their hands supporting each other. Click on banner to view and read all campaign messages to you and to the world.